Don’t miss your opportunity to learn about what suicide prevention charity MATES in Mining can help mental health in your organisation. In the latest instalment of the AMMA Resources & Energy Mental Health Matters webinar series, learn from Andrew McMahon, CEO from Mates in Mining. Find out how MATES in Mining benefits employers and the wellbeing of employees, through its suicide prevention and intervention skills. 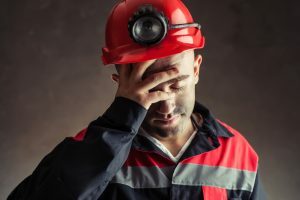 Hear how the program is bringing suicide awareness to the mining industry through a three tiered approach of General Awareness, Connector and Applied Suicide Intervention Skills Training (ASIST). The Resources & Energy Mental Health Matters webinar series is designed advise and inform organisations of the mental health initiatives in our industry. The webinar will be held on 11 April from 12:30pm to 1:30pm (AEST/Queensland time). Click here to register for the webinar, complimentary for AMMA members. AMMA’s Resources & Energy Mental Health Matters webinar series advises and informs organisations of the leading mental health initiatives across the industry.